HumBug: Why No Cricket Choruses? 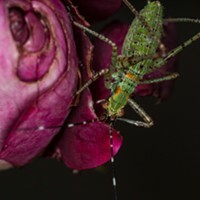 A male tree cricket sings while female spoons with him. I recently got a question from a reader as to why he didn't hear the grand evening choruses of crickets he had gotten used to in other places. Like much in nature, while the question may be simple the answer is not. According to Dolbear's Law, the chirp rate of a given cricket can be used to calculate the temperature. One derivation is to count the number of chirps in 15 seconds and add 40 to get the temperature between 55 and 100 degrees F. Evenings on the North Coast are seldom that warm (this week being an exception). There is some ambiguity as to the species of the original cricket model for this formula. 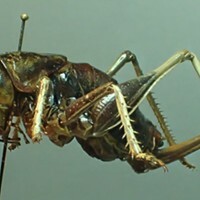 At a guess, what we hear in the evening in many places are any of several species known collectively as field crickets. While I've seen a few locally, this area does not seem to support a large population of them. In my experience, the species you are most likely to hear locally are tree crickets, several related species that do not, by their nature, accumulate in masses sufficient to form a chorus. They're pretty much limited to solos, duets, trios and the occasional quartet in a bush. 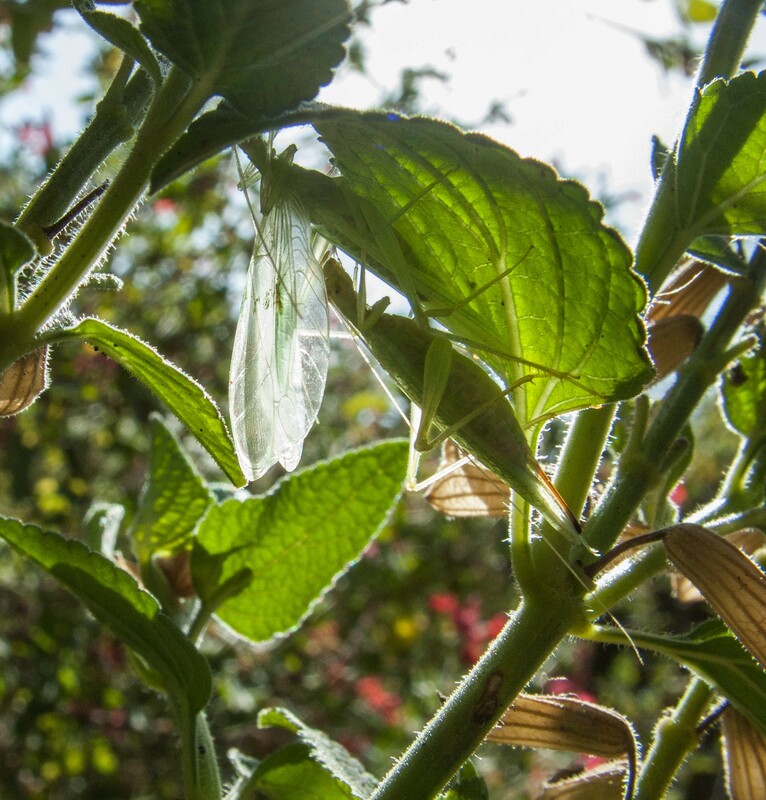 You can see a short video of a tree cricket chirping here. Many species of cricket do not sing at all, filling their ecological niche in silence. Recently there has been some chatter on the web in entomological groups about something I'll call the “Windshield Conundrum,” anecdotal evidence of collapsing insect populations. Anyone who has been driving for a long time may notice fewer splats on the front of our cars. I notice fewer insects around my front porch light at night. 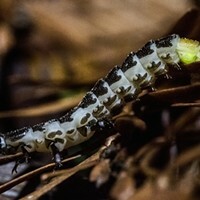 These tiny observations taken as a whole may indicate that, at least in some places, humankind may be winning our age old battle against bugs. Considering how important insects are in the ecology that is a war we really don't want to win. 1) The local environment does not support enough of the kind of cricket that form large choruses. 2) The local evening temperatures seldom rise to a level to motivate many males (only males chirp) to sing their mating calls. 3) There may be fewer critters than in past days overall, due to environmental changes either anthropogenic or otherwise. 4) Our local species prefer singing their love songs as solos. 5) And — most likely — some combination of All of the Above.